A sense of Russian exceptionalism is driving Vladimir Putin’s moves in Eurasia, Ukraine and Syria, a leading Russia scholar said Monday. Igor Zevelev, a political scientist at the Wilson Center, said in Washington Putin, since he returned to office as president in 2012 and other Kremlin leaders, have a world view intent on “preserving Russian national identity in a rapidly changing world” that they see threatened economically by the European Union and militarily by NATO. When the Russian leadership considers it necessary to preserve that unique identity, it can mean “projecting military power well beyond its borders,” as well as along its borders. The ouster of the Viktor Yanukovych — a pro-Russian Ukrainian leader in early 2014 — was a spur to this kind of thinking. It led to Putin’s seizure of Crimea and later backing of separatists in the eastern part of the country. and foreign policy in a new report issued this week by the Center for Strategic and International Studies, a think tank. 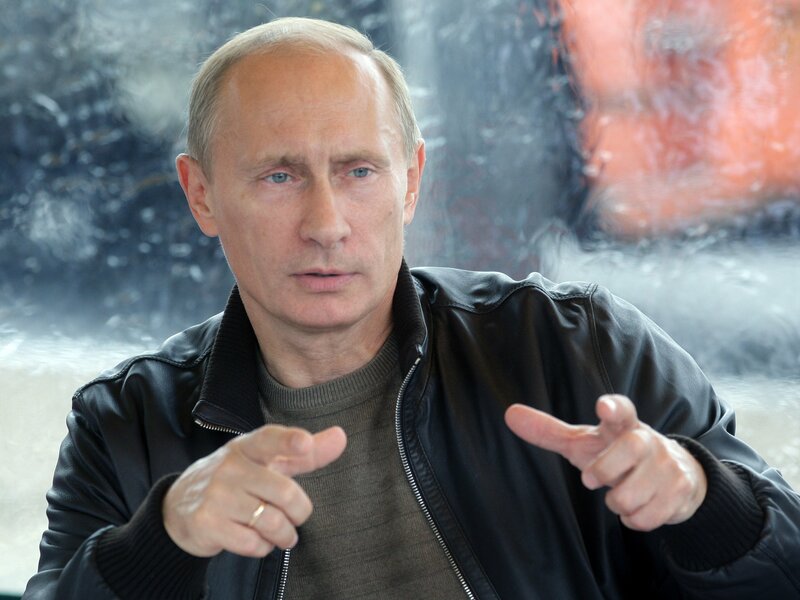 In short, Putin has “securitized identity” as Russia’s response to what it regards as a monolithic West. The narrative the Kremlin leadership is following is “Russia is fundamentally different from the West.” Quoting Sergey Lavrov, Russian foreign minister, Zevelev said the Kremlin views itself “as a unique great power with a mission” that is seen in gender roles, the rise of the Orthodox Church and the role of a leader in that society. “Its vision of the West is very different” from how it sees China or Asia. To Putin and the Kremlin leadership, their interactions to the East are more pragmatic — nation-to-nation. He added another reason for the rise of this kind of statist nationalism in Russia was, “the West did not embrace the new Russia wholeheartedly” after the collapse of the Soviet Union in 1991. The expansion of NATO and European Union into newly independent nations along Russia’s borders were matters of concern even before Putin returned for a third term as president. For example, “Most Russians have a very difficult time recognizing Ukraine as a separate independent country,” Zevelev said. “Linguistic, ethnic maps are blurred.” He added there is an inherent tension between political boundaries and perception of what is what. Zevelev, in answer to a question, said the seeming nostalgia among the Russians for the Soviet Union isn’t tied to the 1920s Kremlin when the country was filled with revolutionary fervor but to the social safety net of education, health care and employment and its emergence as a great power in World War II. He said historically the political tension in Russia has been among those favoring it as a great power, pro-Western liberals and nationalists. Today, those favoring the great power view with a tinge of nationalism have become the mainstream. President-elect Donald Trump has dismissed the charge of Russian tampering in the election. The Washington Post reported it was the CIA’s conclusion that the Kremlin “quite” clearly became involved in Trump’s favor. On Monday, Senate Majority Leader Mitch McConnell, (R-Ky.), announced the Intelligence and Armed Services Committee will conduct hearings into the hacking. In a statement, he called the breach disturbing. The Armed Services Committee will concentrate on cyber security issues in its hearings.